Don’t you just love receiving a gift hamper? I get super excited whenever a gift basket lands on my doorstep. So when I received an invitation to attend a gift hamper workshop, I accepted the invitation without any hesitation. What was the occasion of the workshop? To celebrate the collaboration between boutique company Simply Hamper and social enterprise Metta Café as they enter their second year of partnership in their gift giving journey. Metta Café is an initiation by Metta Welfare Association to provide F&B vocation training for Metta School graduates aged 18 and above with mild intellectual disability and/or autism. The café’s mission is to provide an avenue for these youths to acquire vocation, work and life skills to prepare them for employment in their adult years, thereby helping them achieve financial independence and survival confidence in their personal skills. This is my first trip to the Metta Café. I was surprised by spacious it was. It even had a private area (where our workshop was held) that the public could book for private or corporate parties. Felicia Wee, the Deputy Executive Director of Metta Welfare Association shares with me that there is no rental fee to rent the space. You just have to cater from Metta Café. This is to offer the students opportunities to reinforce their skills. Check out these eggless cookies made by the students. They were delicious! . The Café’s menu is Halal certified and also caters to the vegetarians staying in the neighbourhood. Metta Café is located at 32 Simei Street 1, Singapore 529950. It is open daily for lunch from 11.30am till 1.30pm (Mon-Sat) and till 2.30pm on Sun. Come by for coffee and snacks in the afternoon. They serve a lovely cup of coffee. 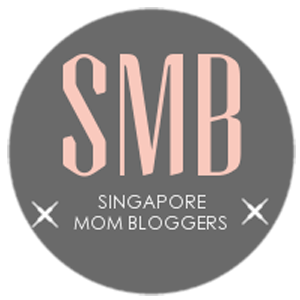 Ann Low, the gift basket designer from Simply Hamper, demonstrates how to pack the basket and shares 3 tips with us on how to create a beautiful gift hamper. 1) Think about the theme of the gift hamper. Is it a gourmet hamper, a baby hamper or a corporate hamper? Ann advises that we look into the details, then pick the most appropriate hamper (basket or gift box) most suited for the occasion. 2) Ann divulges that the secret to a good gift basket is the contents in the hamper. She says to consider the size of the products, their shapes as well as the tiers or layers to decorate your hamper. She advocates placing the bigger products in the back and stacking them symmetrically. Be creative and make sure the content placements are balanced. 3) Last but not least, pay attention to the finishing. You can overwrap your gift basket, shrink wrap them or place them in gift boxes. Overwrapping is the most common. A hair dryer does the trick of shrink wrapping just as well as the professional shrink wrap gun but may take a longer time. And finally, finish off with matching bows and ribbons to colour scheme and occasion of the hamper. Having watched Ann expertly gift-wrapped her hamper, it was now our turn to try our hand at it. We were given the following products courtesy of Simply Hamper and Metta Café. Here is my very own self-packed and shrink-wrapped gift hamper. Not bad for a first-timer eh? Good thing I did not burn a hole while shrink-wrapping it. Simply Hamper source from overseas a wide selection of quality products to help you celebrate the occasion (general, personal or corporate) or express your sentiments (gratitude or congratulatory). They also offer floral bouquets and table arrangements to meet your celebratory or condolences needs. Simply Hamper is already taking orders for the upcoming Christmas season. Check out their website for more information on deals. Thank you Simply Hamper and Metta Café for a lovely afternoon of coffee and tidbits and a wonderful gift basket to bring home. If you like this post, do connect with me on Facebook, Twitter and Instagram or share with me in the comments below your thoughts and what other workshop experiences you may want to read about.